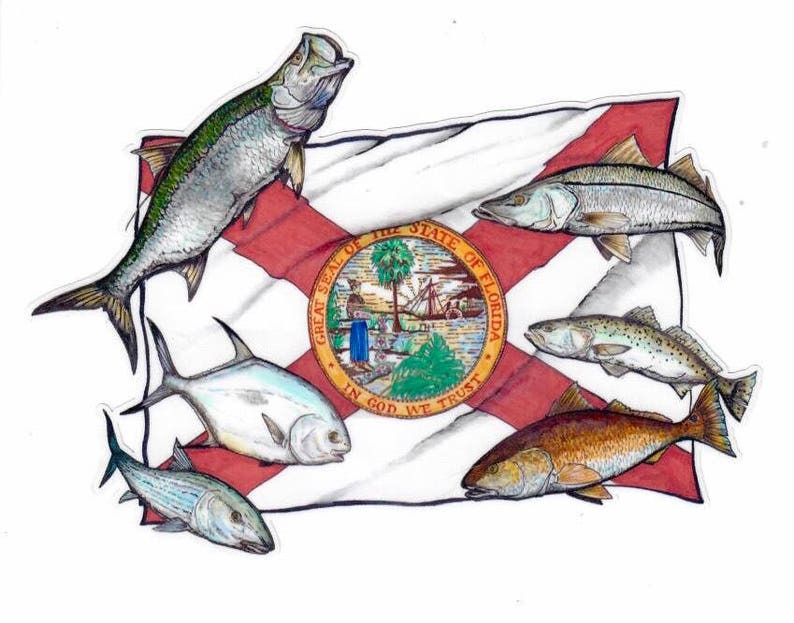 Florida Flats Decal 8" X 6"
Florida flag decal with Tarpon, Snook, Bonefish, Seatrout, Permit and Redfish. Weather and UV resistant. Florida Flats Decal 8"x 6"
Great decal! Unique and sure to be appreciated by the Florida fisherman who will be receiving it. Thanks for the good quality and quick delivery! Great quality, large size, beautiful! Love the decal! Thanks for the quick shipping ! !